Automated systems routinely make decisions required to trade securities, detect fraud and place ads on Web pages. But when it comes to developing these kinds of technology, the hottest decision-making system is not technological at all. It is about a product development strategy. Today, technology risk—the chance that a company cannot build what it sets out to build—is not the problem anymore. Market risk, on the other hand, is a killer concern. The problem is that businesses often conceptualize, design, and produce a product before they correctly gauge a market reaction. If you are wrong about your idea’s acceptance by users, you can lose a lot of money. It is why today, some companies, developing software for their users or partners, use a new approach to product development called lean startup. 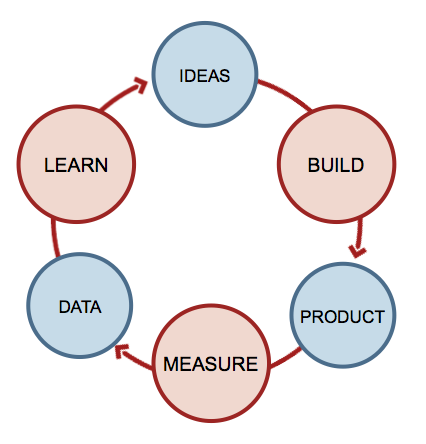 This approach synthesizes ideas from Japanese manufacturing, software development and the scientific method: the basic idea is to run a series of experiments as quickly and inexpensively as possible, so that by the time you launch your software product, you can be reasonably certain that customers will clamor for it. While the approach can apply to any new business, the malleability of software lends itself particularly well to fast prototypes and no expensive evolution. Lean startup approach method encourages entrepreneurs to “fail fast” and quickly abandon ideas that are not working. The drawback is it may mean giving up too soon: some of the most important products ever—like the Macintosh computer—came to exist against the odds and gained popularity only through perseverance and brilliant marketing. A specific domain where lean startup could be used is the development of new features in web sites. Today, websites turn to experiment acceptance with quick prototype and test the behavior and reactions of Users. The giant of the web (Google, Facebook, Amazon) do it (almost) everyday. At least 15 percent of the top 10,000 websites are conducting this type of experiment today, according to BuildWith, an Australian company that scans sites around the world. This approach is reshaping what the web looks like and is strongly linked with continuous integration, testing and DevOps philosophy.